This is day four in our series commenting on leadership lessons learned from our mentors. Thanks Kelly, Courtney, and Carly for responding first! It’s great to hear each of your voices, the different stages in life that you are in, and how leadership impacts who you are today. Such great stuff! 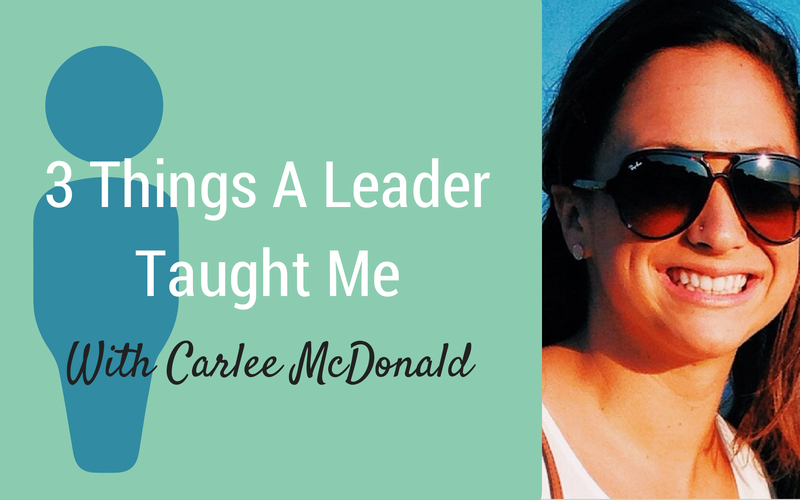 Today, another Carlee teaches us what she’s learning. I’m humbled that she would pick me to write about. I learn just as much from her, as she does from me. Thank you Carlee! Offer encouragement– She is always positive. Not a “rainbow puking unicorn” type of positive, but she does try to point out the good in every situation. Genuinely listen– She is always there to listen. And I mean really listen. She isn’t afraid to tell me things I might not want to hear (in a loving way of course). I think that’s what makes our friendship authentic. Be available- She is always just a phone call, coffee date, or early morning jog away. Whether it’s for accountability purposes or just a spur of the moment lunch—she takes the time to invest in me (as well as many others). And for that I am so grateful. Every day I try my to make it my goal to love people in my life the best way I can. One way I’m working on this is by simply being available. I’m learning to say “no” to things that aren’t as important so I can be available and ready for a “yes” that could have great potential. I’m learning to do a few things well rather than spread myself so thin I barely have time in the day. Brooklyn’s example has helped me grow so much in this area. I could probably publish a book of all the awesome things I am learning from her, but I’m still soaking them all in. Carlee– there are only a few people on the planet that I trust enough to go jogging with. You understand why and are still my friend anyway. I’m learning from you too. Thanks for your kindness. I look forward to hearing how other people learn from their closest friends!